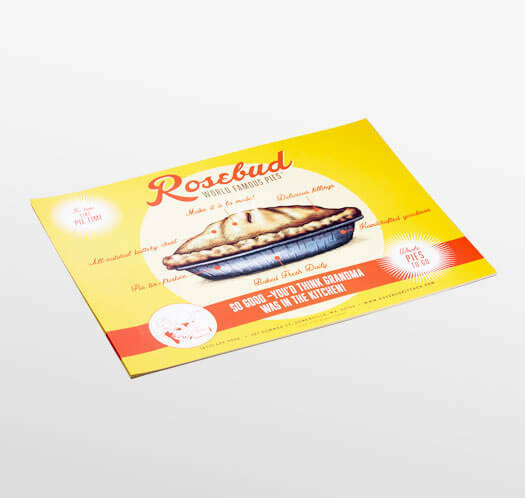 We've seen placemats used at restaurants, holiday/birthday parties, picnics, and even at something like company events. Placemats are hygienic, functional, and convenient, making them great for all these scenarios. Have some fun and spark conversations at the dinner table by having an assortment of placemats distributed to each person. 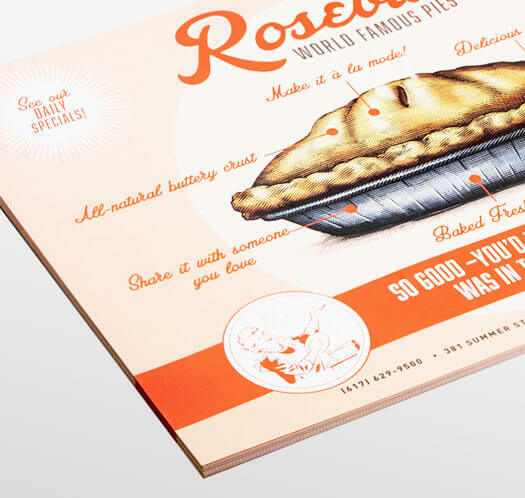 We print our placemats on 70 lb offset paper, a stock that is great for both printing and writing. 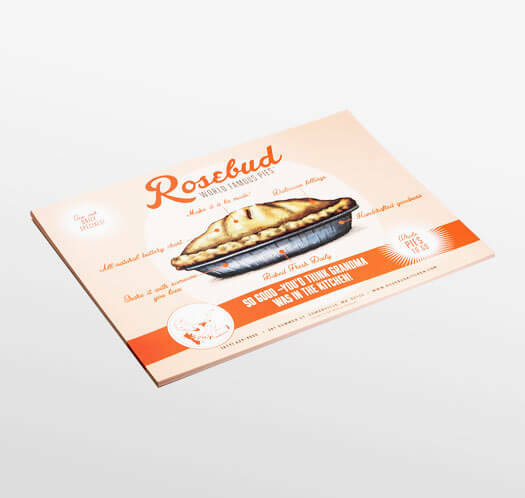 Our 4-color process makes it easy to achieve any color that comes with your letterhead design. Print in quantities as low as 50 or as high as 5000. Restaurants of all sizes use placemats. They're especially great for entertaining children or advertising your services. Consider including monthly specials or something similar in your design. Some restaurants welcome placemat advertising in order to help other businesses in the community and to gain another source of income. By paying for a shared advertising space, a business can get plenty of visibility at low cost. In return, a restaurant can have its placemats paid for and earn advertising profit. Win-Win. Our printing services let you provide your design so you have more control over what is printed on that blank sheet. Our design team is readily available to assist you in creating a new design or guide as you create your own. Looking to customize your placemats. contact us to speak with our product specialists.